Three-path diode power sensor R&S®NRP-Z61 is suitable for numerous applications because they support continuous average, burst average, timeslot average, gate average and trace measurements. Due to its frequency range of up to 50 GHz, the R&S®NRP-Z61 is ideal for higher-frequency military satellite systems in the Q band (33 GHz to 50 Hz), the R&S®NRP-Z61 are used, depending on the frequency range. 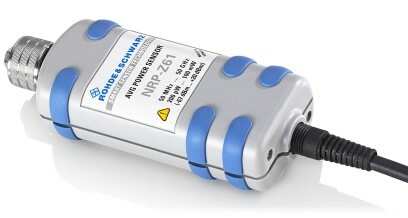 The R&S®NRP-Z61 is ideal for measurements on microwave link systems operating at frequencies up to 50 GHz. The user benefits from short measurement times and the sensors’ wide dynamic range.